The backlash and controversy over Beyoncé performing at the 2016 Country Music Awards was a powerful reminder of just how far the genre has strayed away from its roots. The average connoisseur of country music likely has little appreciation for (or knowledge of) the genre’s true origins: with Black people. There would be no Garth Brooks, Reba McEntire, or Rascal Flatts if not for the influence of African American culture on early country artists. Country music was born in the South in the midst of a tumultuous racial climate. In the early 1920s, DeFord Bailey – a talented Black man – appeared on the Nashville music scene with harmonica skills unlike anything before seen. Bailey would later become the first African American to play for the Grand Ole Opry, the largest and most prestigious platform for country music for decades. Although Bailey is considered a pioneering country music artist, the genesis of the genre dates back even before his time. The instrumentation used in early country music gives us clues about how exactly the art form developed. For example, the banjo was invented by enslaved Southern Blacks as early as the 1690s and was used on plantations to provide music while they worked in the fields. The fiddle was also introduced to the enslaved around this time, and much of the music created with these two instruments became early forms of blues, R&B, and country. In spite of our contributions to founding country music, very few Black country artists have achieved mainstream success. However, the legendary Charley Pride is one notable exception. As the only African American ever inducted into the Country Music Hall of Fame, Pride overcame tremendous racial barriers on the way to the top. Though he was signed to a major record label, no one saw his face for the first three years. This was purposeful – as an attempt to conceal his racial identity and not startle a mostly white audience. Despite being discriminated against once his race was revealed, Pride went on to perform all over the country, produce 29 number one hit songs, and sell over 70 million records (the most since Elvis Presley). In addition to DeFord Bailey and Charley Pride, there have been many Black artists who have crossed genres and dabbled in country music. While Ray Charles is remembered as a soul musician, he also played the harmonica and often performed with the Florida Playboys, a country band. In 1962, Charles even released a full-fledged country album which received immense praise as possibly one of the greatest country albums of all-time. Tina Turner and Esther Phillips also explored country music and proved that it was not exclusively a space for whites or men. Although Black artists are not the face of country music, our presence and impact on its evolution are undeniable. 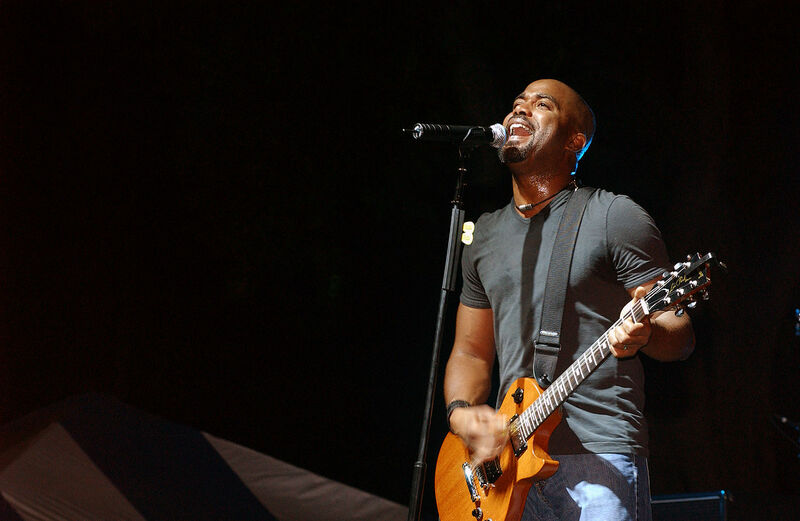 The current success of Darius Rucker, from Hootie and the Blowfish, is a testament to the groundwork that was laid for Black country artists for at least three centuries. Country music is part of the fabric of the South and African American culture has been weaved into that history. We are the originators of music from the soul.